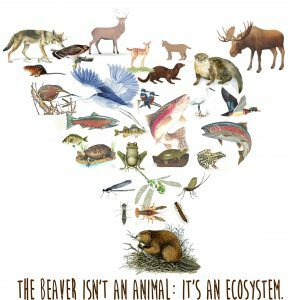 Beavers are a keystone species because of the many ecological services they provide to other species. 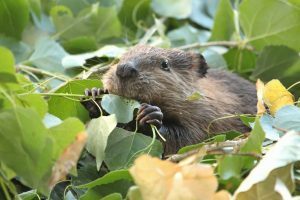 The NH Wildlife Action Plan mentions beaver created habitat often as habitat needed for many NH species including some of those having Greatest Conservation Need such as the Spotted Turtle and the New England Cottontail Rabbit. Plant life that grows in beaver ponds removes toxins from the water. Beaver ponds have been shown to remove nitrogen and phosphates. Water downstream from a beaver pond is cleaner than the water upstream. Beaver ponds mitigate drought by recharging the water table. Beaver dams help lesson flooding by providing natural ‘speed bumps’ to slow the water down during heavy rainstorms. The NH Animal Rights League provides an up to $500 matching grant for humane solutions, such as flow devices, instead of using the traditional method of trapping and killing. Download the Beaver matching grant application Contact nhanimalrightsleague@gmail.com with any questions.